Varla Ventura, fan favorite on Huffington Post's Weird News, frequent guest on Coast to Coast, and bestselling author of The Book of the Bizarre and Beyond Bizarre, introduces a new Weiser Books Collection of forgotten crypto-classics. Magical Creatures is a hair-raising herd of affordable digital editions, curated with Varla's affectionate and unerring eye for the fantastic. 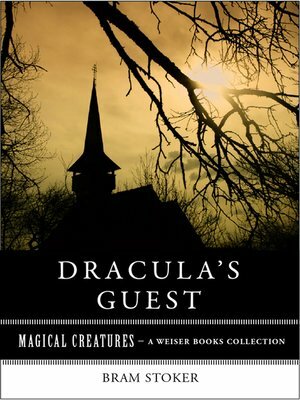 Published in 1914, several years after Bram Stoker's death by his widow, Dracula's Guest is one of several stories that Stoker had wished to publish as a supplement to his most famous novel. Dracula. Join him as he drags the reader out into the hills outside of Munich, Germany, into the dark of the night on one of the most terrifying nights of the year— Walpurgisnacht, or The Witches Night. A wild storm, a city of the dead, werewolves and vampires all convene on this horrifying journey to the brink and back again.